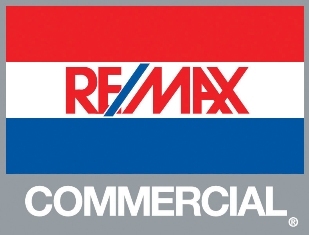 RE/MAX Commercial specialists average 14 years of comprehensive real estate experience and are among the most experienced professionals in the industry. Our marketing associates and advisors come from a variety of backgrounds, many having advanced degrees and professional designations. The Commercial Investment Institute roster shows RE/MAX as having one of the strongest contingents of Certified Commercial Investment Members (CCIM) in the industry. RE/MAX Commercial is linked to a global network connecting more than 72,000 real estate professionals in RE/MAX offices throughout the United States and around the world. With over 3000 experienced investment advisors in 825 cities located in 16 countries, we offer property owners and investors one of the most extensive and powerful marketing systems available for commercial real estate. Our strong presence locally and around the globe results in marketing exposure second to none. Our ability to network and market property throughout the local, regional, national and international marketplaces is unsurpassed in the industry. Our sales associates and advisors are always current on real estate trends and the forces that are shaping their local and regional markets. They are tapped into professional networks such as: the Commercial Investment Real Estate Institute (CCIM), the Society of Industrial and Office Realtors Institute (SIOR), the Institute of Real Estate Management (IREM), the American Industrial Real Estate Association (AIR), the International Council of Shopping Centers (ICSC) and most local professional and listing organizations. We believe in creating long term client relationships through market and property type specialization. Our concept is to have each investment advisor specialize in a property type within a market area. In this respect our associates know all the buildings in their market area, their characteristics, the ownership entities, market rental structure, market vacancy factors, employment and business growth, recent sales, demographics, etc… They also know who is active in the Buyer pool for each property type. One key advantage of specialization is continuous access to IRC section 1031 Exchange Buyer capital. We have extensive contact and relationships with exchange buyers. We maintain a constantly updated database of the acquisition and timing requirements of each exchangor. Our associates are experienced in exchange transactions and provide valuable services that insure trouble free results. RE/MAX Commercial is among the fastest growing commercial real estate brokerage firms in Southern California. Our investment advisors consistently complete assignments and deliver results that meet or exceed our client’s expectations. We are dedicated and committed to achieving our client’s goals, first, last and foremost!